Call me daft but do you know what I realized only a few minutes ago? 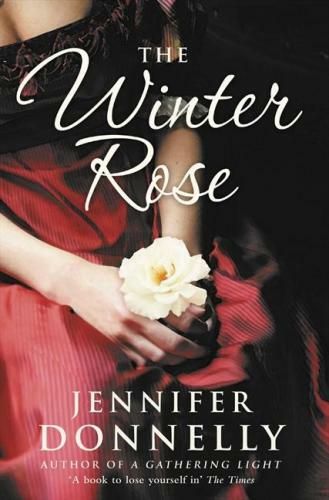 That the heroine of The Winter Rose is a Doctor called India Jones, which surely must be an homage to Indiana Jones. Dr. Jones, see? Ha! Last year I loved The Tea Rose in all its soap-opera glory. It was the perfect escapism-inducer and I needed another fix after what’s happening in the world these last few months. Also, this is the greyest summer since I moved to Brussels, which basically means the greyest of my life. I did get the drama I was looking for, but somehow The Winter Rose (TWR) didn’t work as well The Tea Rose (TTR). Had the feeling it bordered on the preachy sometimes and it took itself too seriously, which makes sentences like this “In the darkness, Frankie could only hear Sid’s voice; he couldn’t see his face. If he had, he’d have seen the pain there, deep and abiding, as he said, ‘She’s nobody, Frankie. No relation. She’s nothing to me at all.” a tad too much. The “Rose” trilogy follows the three Finnegan siblings in turn. TTR is about Fiona, TWR about Charlie/Sid Malone and the recently released The Wild Rose focuses on younger brother Seamie. Sid’s love interest is the aforementioned India Jones, a medicine graduate born to wealth, but possessed of a powerful drive to Do Good. Defying her family, she is determined to help London’s poor and open a clinic dedicated to women’s health. Along the way she’s called to save Sid from certain death. It only takes a few glances and a night of confidences for them to fall fatally in love – the young idealistic doctor and the criminal master-mind of Whitechapel with a hidden and tragic past *cue heart-wrenching music*. Although this is the main plot line, there are many others interwoven in it, among them India’s long-time fiancé who seems all a woman could want, but in fact is a cold-blooded murderer, Fiona’s search for Sid and the pressure it puts on her marriage, Joe’s decision to run for Parliament also To Do Good and Seamie’s own adventures (the South Pole! Climbing the Kilimanjaro!) and convulsed love-life. It might have been this lack of focus that failed to elevate this book to page-turner status. The story is told from many POVs, and I felt impatient to get back to the main characters. Although I cared about them, I felt ready to drop Fiona & Joe after the first book (or at least move them to a discreet background) and would prefer if Seamie & Willa’s story only kicked-off in the third novel. Some other factors that turned this into a 3.5/5: 1) while TTR was all about business, TWR is about politics and although business language is international, English politics are less compelling to outsiders. 2) I like my love stories to be slow burners but India and Sid fell in love during their second meeting. Ok, Fiona & Joe were a couple right from the start of TTR, but their early separation sort of re-set the counter. 3) A question to those who’ve read both books: doesn’t Donnelly step up the melodrama a notch with TWR? It’s strange, but while I reveled in TTR’s sappiest moments, this time my eyes rolled on a few occasions. Please don’t get the impression I didn’t like it The Winter Rose. It just wasn’t the right time for us. I can honestly say to this book “It’s not you, it’s me!” and to prove mea culpa, mea culpa, I already have the hardcopy of The Wild Rose in the TBR. It’s just waiting for the autumn weekend which will to do it justice. I really want to try this trilogy, but then never seem to get around to reading it… I really must try again soon! I never thought that about Indiana Jones, but it did bother me that people would talk about going to India, and it was difficult to figure out if they were going to the country or the character! Yes, well, because of our dear Jill, I have the first two novels on my Kindle. Haven’t taken the plunge yet but I will eventually. I keep waiting for a huge gap to open up and say “pick up something really long and read it!”. Don’t know when that will happen! I have heard such great things about this series but I have yet to start it! I did skim the first few pages of The Tea Rose and wasn’t super blown away, but then again, I did only read about 5 pages so I know I shouldn’t use that as a determining factor, especially since so many people love it. Perhaps once the full series has been released here in the States I will finally give it a real shot! @Kailana: Perfect for when you need a comfort read! @Sandy: It’s long, but I’ve read it oh so very fast, especially the first one, promise! @Violet: hehehe – the book is better than the cover! @Wallace: No spoilers, but please bear me in mind when you have read it. I’d like to know your thoughts. @Diane: lol! Actually, it’s not really set in the winter, but it’s perfect for a cosy winter afternoon with a cuppa! @Steph: From reading your blog for over a year now, I wouldn’t exactly chose this book for you, but one never knows! Honestly, I didn’t even notice the connection between Indiana Jones and India Jones! I guess I’m just a giant nerd because I really liked all the insights into English politics. But I do agree that the relationship between India and Sid felt rushed and that Donnelly stepped up the melodrama. I loved TTR and I’m glad I read TWR to see what happens with Joe and Fiona but I wasn’t as in love with Sid and India. I also would have much rather that Seamie & Willa’s story was picked up in the third novel. I felt like it was very distracting and I’m quickly becoming annoyed with authors that insist upon starting another story so you’re almost forced to pick up the next book in a series. A series should be good enough that the reader should want to read the next book not be tricked into continuing.